Are you hesitating on purchasing a pre-owned vehicle? Your mind will change when you shop with AutoCenters Bonne Terre. 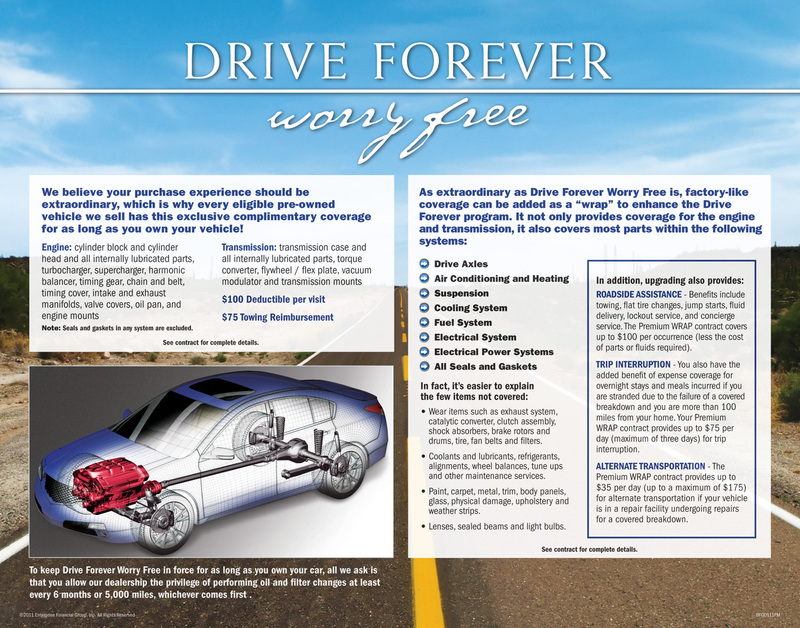 Bonne Terre area drivers will get our complementary Drive Forever Worry Free lifetime warranty when they buy an eligible pre-owned vehicle from our dealership. Although our qualified pre-owned vehicles come with the AutoCenters Bonne Terre lifetime warranty, we give Bonne Terre area drivers the option to upgrade their coverage for added peace of mind. Roadside Assistance includes towing, flat tire changes, jump starts, lockout service, and more. Trip Interruption covers necessary hotel and meal expenses if you are left stranded due to the failure of any of the covered Nissan parts or systems. Alternate Transportation supplements any expenses for alternate transportation if your vehicle requires a lengthy repair.